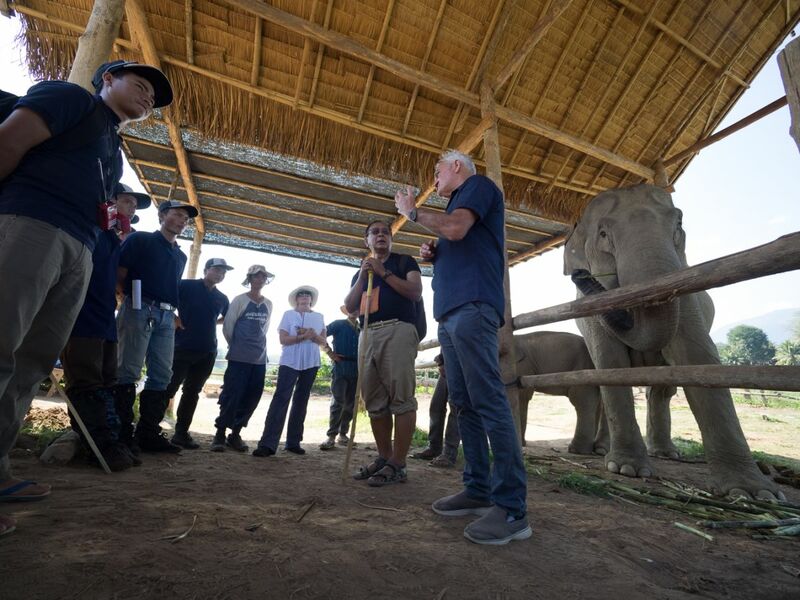 The Human Elephant Learning Programs (H-ELP) foundation is an Australian organisation improving the welfare of working elephants in Asia via the systematic application of humane, evidence-based training initiatives, education, engagement with local communities and relevant stakeholders. Through our programs, H-ELP currently contributes to the development, welfare and safety of elephant handlers and trainers across India, Thailand and Myanmar. Founded by Dr Andrew McLean and Laurie Pond in 2010, H-ELP has grown significantly as Andrew’s systematic approach to elephant training is recognised as a viable and safe alternative to traditional submission-based methods. The remaining foundation members of H-ELP also have similar professional interests. In 2014, H-ELP published its manual Elephant Friendly Training for Working Elephants written by Dr Andrew McLean which has since been translated into Assamese, Malayalam, Thai and Burmese and it has unanimously received a positive reception. With the help of our patron, Christine Townend, the H-ELP Foundation was founded in 2010 with Dr Andrew McLean and Laurie Pond. From our early experiences in Nepal, we have now grown from a pilot program to 7 on-going programs across India, Myanmar, Laos and Thailand. It was a long journey, but the H-ELP Foundation Ltd now has Deductible Gift Recipient Status (DGR). Not only does this mean we have full accreditation as a charity within Australia, but it also means we can issue tax-deductible receipts for any donation over $2!